That year, the Habs won the Stanley Cup Finals by forfeit. That's right, one of their 24 or whatever cups was just handed to them because the players on the Hamilton Tigers went on strike. Probably reasonable for them to do, but it sure does help Habs fans get smug about total cups. Whatever. 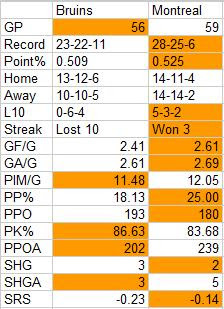 The Bruins went 6-24-0 that year, which isn't the worst first season ever for all teams, but it's pretty bad. Oh well. I wanted the Bruins to break some records and end up with a lottery pick, but I didn't mean for it to happen like this.